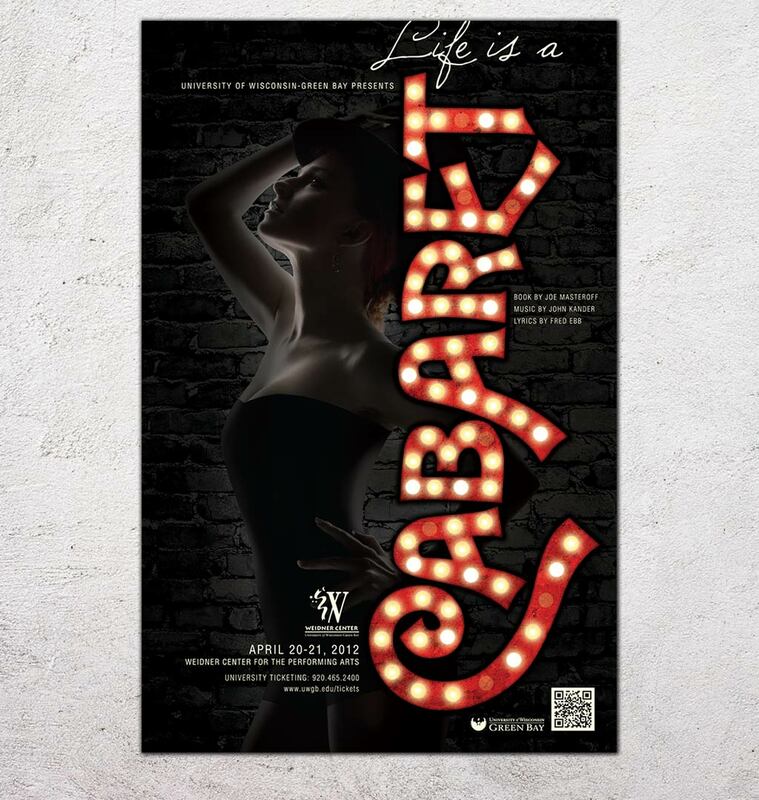 We partnered with the University of Wisconsin – Green Bay Performing Arts to design their promotional materials for the Broadway musical, Cabaret. Materials designed include poster design, ad design and program book cover design. The musical’s dark themes – set during the beginning of Nazi Germany – are captured in the design. Print Graphic Design Services: Performing arts poster design, ad design, program book cover design.